Are you in a long distance relationship? You are using it all, to bypass the distance: Skype, Viper, Facebook, WhatsApp, Avocado,…? And yet, sometimes words are not enough, even picture worth 1000 words is not enough, the thing you miss from your loved one is just a simple touch. Well, there are good news for you: Hey bracelet is on its way to market. 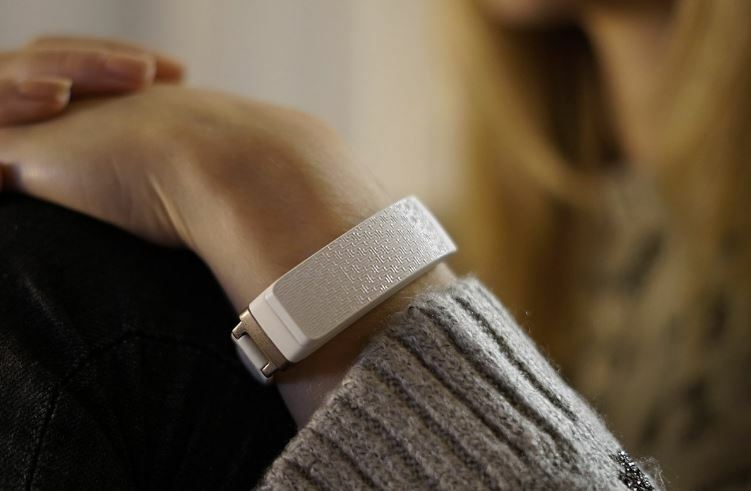 Hey bracelet is the first wearable that tries to transfer something like a real human touch. It is not just a mechanical vibration or buzzing sensation, but an actual gentle and silky squeeze, and yes, it is just one type of touch. The bracelet is waterproof, and it takes about 30 minutes to charge, and the battery will last for three weeks. Initially HEY will be released in two versions: white & rose gold and anthracite & black. But the designs for more versions are ready. With 2000 bakers they will launch red, blue and green design. The idea of Love bracelet is not new, there is a Tap Tap bracelet concept, which beside transferring the touch between two people, can also serve as an activity tracker, a game controller or smart alarm. They have launched a kickstarter campaign, but did not reach the fund. Bond touch started in 2013. and after enormous work done on building the bracelet and the application, they did not have adequate customer interest for launching the product. Now, they are also taking preorders aiming to gain 1000 of them so that they can start production. So let the Morse code be romantically enliven.